Crankshaft Damper Development Case Study. Part 1 - Introduction. During the mid-1980s Vibratech® TVD was approached by high level race engine builders to bring the durability and broad frequency range protection of their viscous dampers found in commercial and industrial applications to professional motorsports. Fluidampr® brand performance dampers originated from this endeavor. Today, Fluidampr performance dampers are a fully-owned product of Vibratech TVD and continue to be one the market leading premium crankshaft dampers sold for domestic, import and diesel street use and motorsports applications. Download the ebook below and follow this multi-post blog series as we go behind-the-scenes of Vibratech TVD’s ISO 9001:2008 design and development certified process for our latest Fluidampr performance damper upgrade. 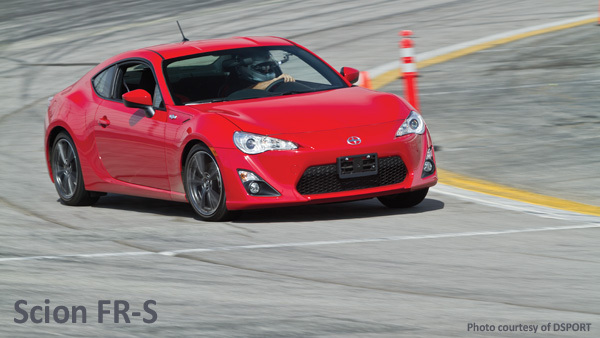 The application is for the 2.0L opposed-four Subaru FA20 / Toyota 4U-GSE engine found in the popular 2013+ Subaru BRZ, Scion FR-S and Toyota GT86, plus new 2015 Subaru Impreza WRX. Improving on the stock tuned elastomer crankshaft damper with a viscous damper, and on a low torque small displacement opposed-four, will be no small challenge. While this is a case study in automotive engine damper development, this new Fluidampr crankshaft damper measures only 5-7/8” outer diameter. Consider the possibilities the durability and protection a small viscous damper from Vibratech TVD can provide for your design.